If we sound tired this week on The Voice of the Turtle, don't blame us. Blame west coast baseball. The Tigers have been on the left coast for the past week and are having a bit of trouble, having dropped three of five games to the Oakland A's and Arizona Diamondbacks. Of course, two of those losses came at the hands of one Francisco Rodriguez, who lost his closer job on Monday. One might argue that the Tigers are a bit unfortunate to have a losing record on this trip. Or are they? 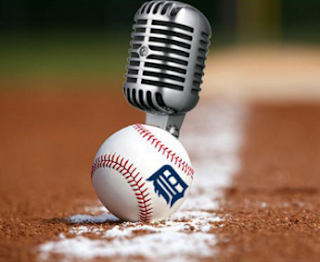 On this week's episode, Rob and Hookslide discuss whether the Tigers are as good (or bad) as their record suggests? Are they getting unlucky, as the K-Rod blow-ups suggest, or is this team -- you know, the one with a negative run differential -- lucky to be at .500 through 32 games? Your fearless co-hosts break down the new bullpen hierarchy, what's going on with the offense, and whether the starting rotation can carry this team as advertised. We also, as always, answer your listener questions! - How awful is west coast baseball? - Are the Tigers lucky or unlucky to be at .500? - Who would win in a fight: VOTT or the Podcastellanos?